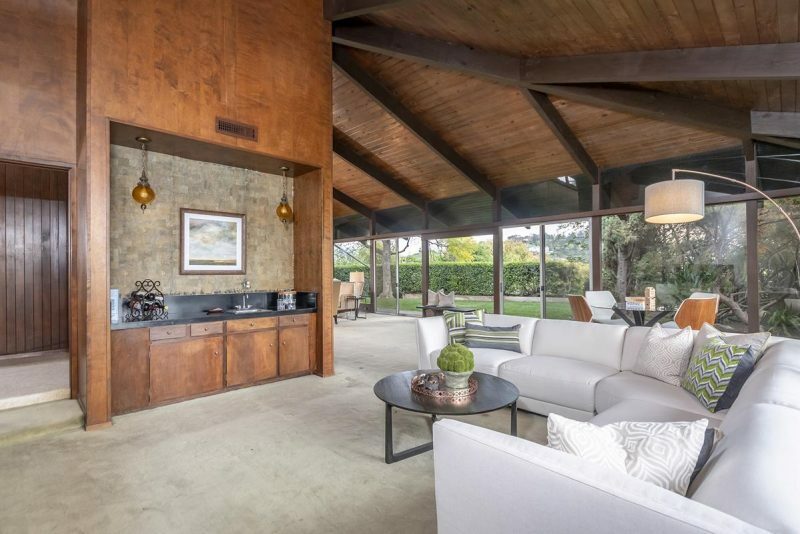 The hilly Los Angeles suburb of La Cañada-Flintridge is home to a variety of mid-century modern treasures. 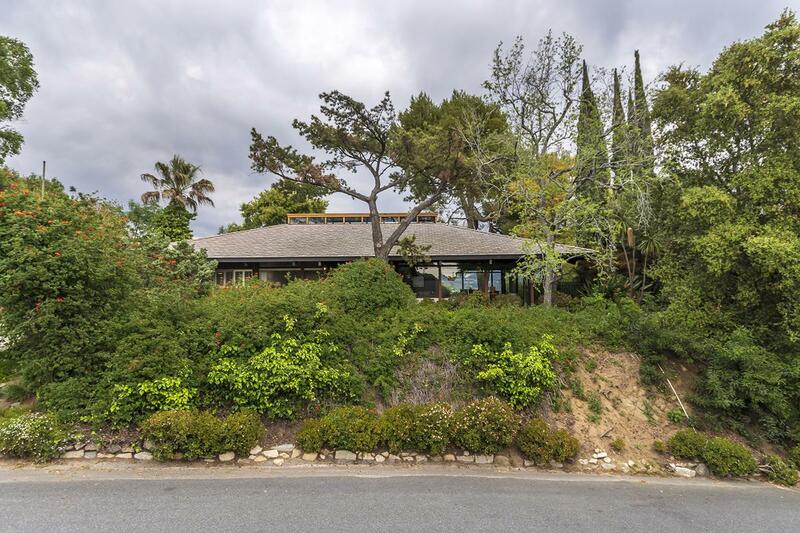 Situated high in the Flintridge hills on two parcels, this genuine Mid-Century Modern home was designed by Walter K. Zell and is available for the first time in 47 years. 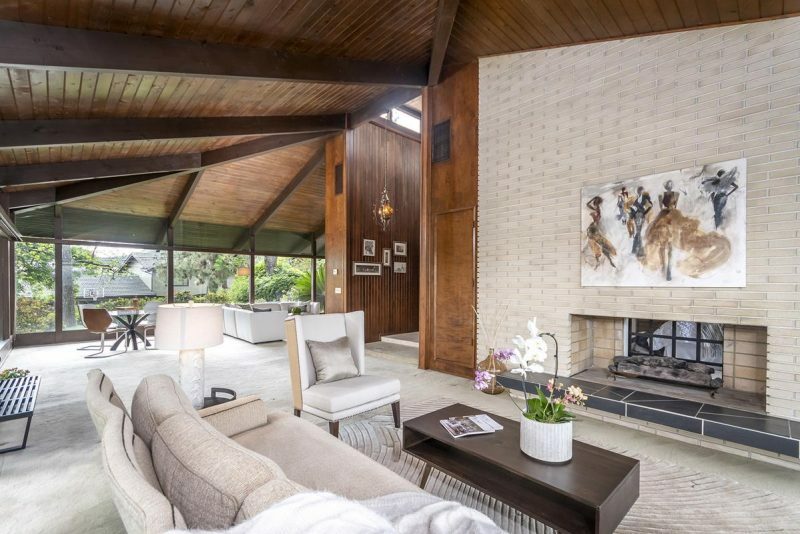 As you approach the property, you will be struck by the geometric lines and glass panels that characterize these Mid-Century treasures. 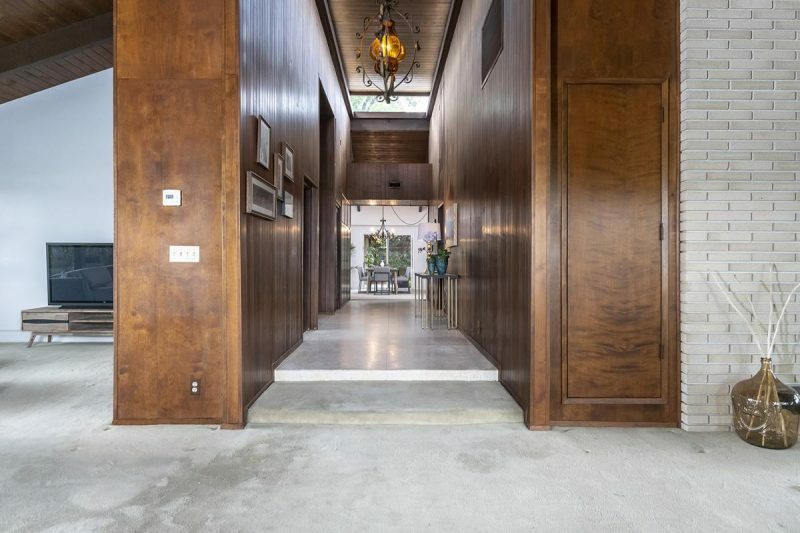 A natural wood-paneled entry and hall welcome you, accented with terrazzo flooring and illuminated with extensive clerestory windows above the 18-foot ceiling. To the east is an expansive L-shaped living room and family room with three walls of glass offering spectacular panoramic views and bringing the outside in. 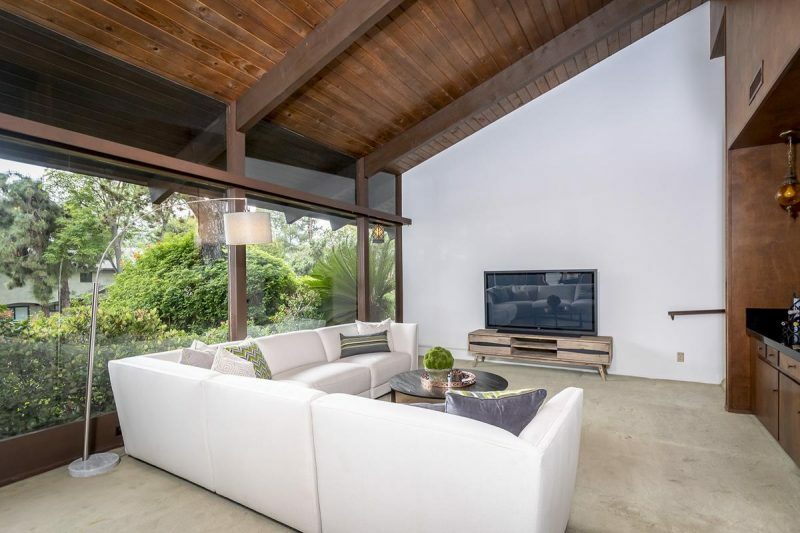 Wood beams on the angled ceiling, a floor-to-ceiling two-sided gas fireplace, a full wet bar, and sliding doors to the side patio make this a wonderful space to entertain, formally and informally. Down the hall, the dining room opens to the kitchen, breakfast nook and office/den. 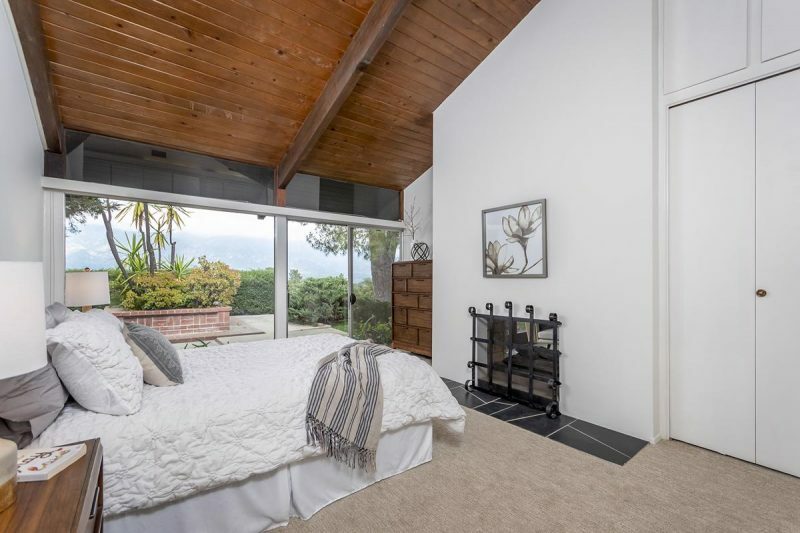 Across the hall is the master suite with a fireplace and views. There are two more bedrooms with views and a bath. 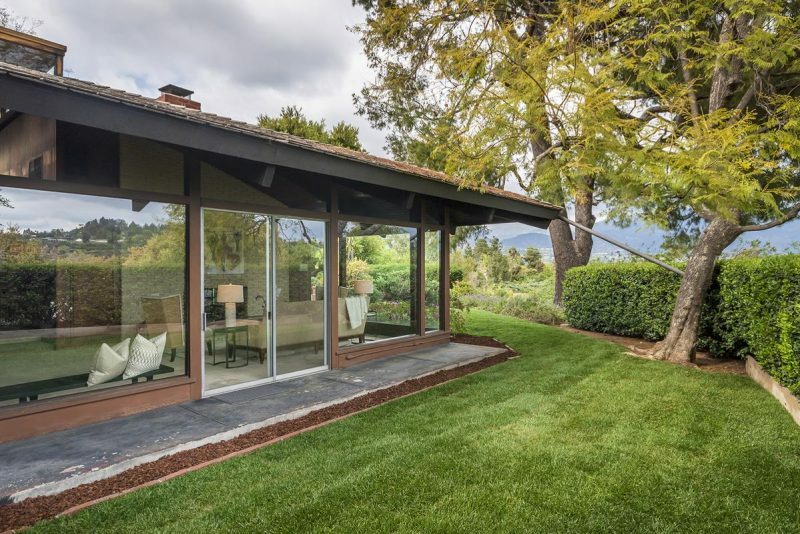 Step outside through one of the many sliding doors to take in the breathtaking views from the patio and deck. 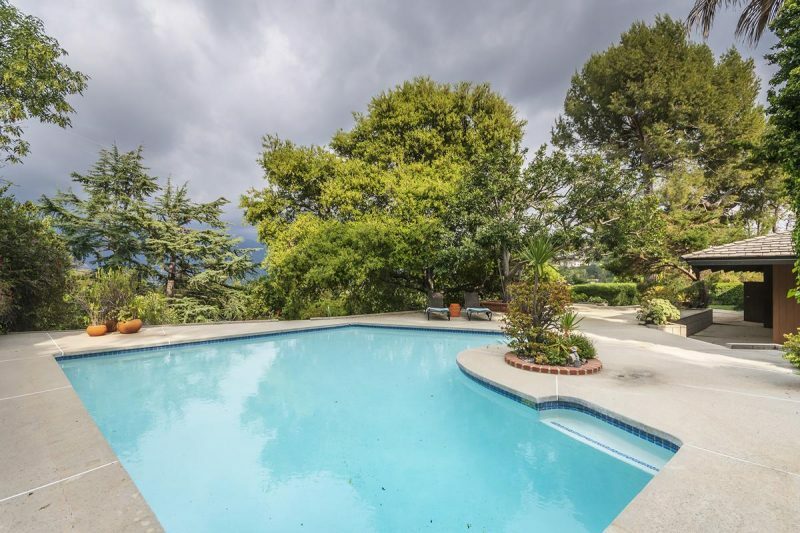 This spacious private oasis offers a geometric free-form pool and has an attached 2-car garage, and pool cabana. 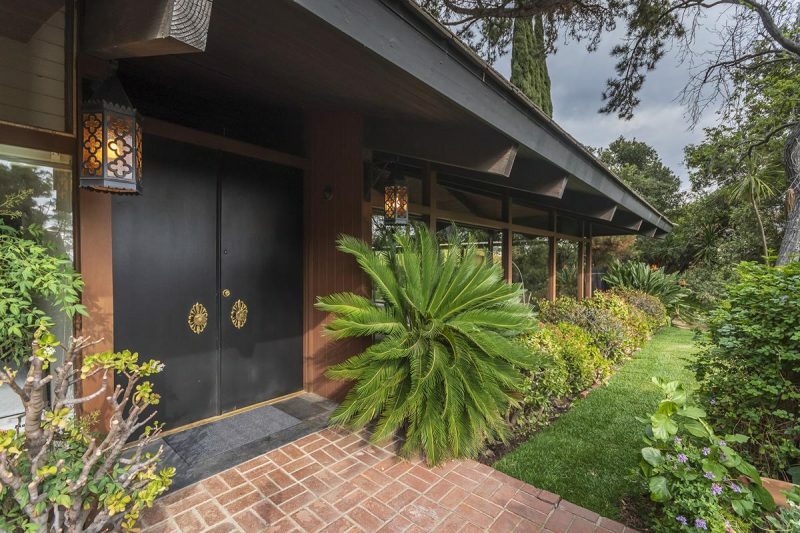 It is listed for $1.725 million with Dilbeck Real Estate, an affiliate of Luxury Portfolio International.